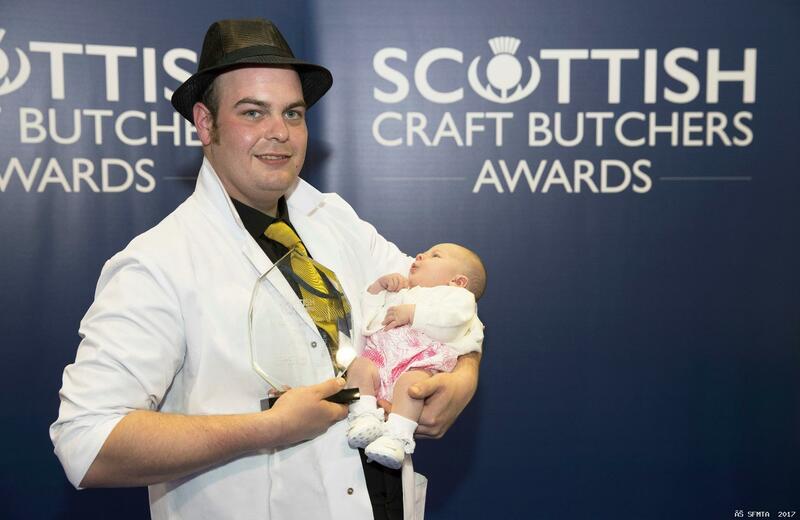 Four weeks after delivering his baby daughter on the bathroom floor of the family home, Fife butcher Jamie Syme was handed another “treasure” when he lifted the Scottish “Butcher Of The Year” title at the weekend. 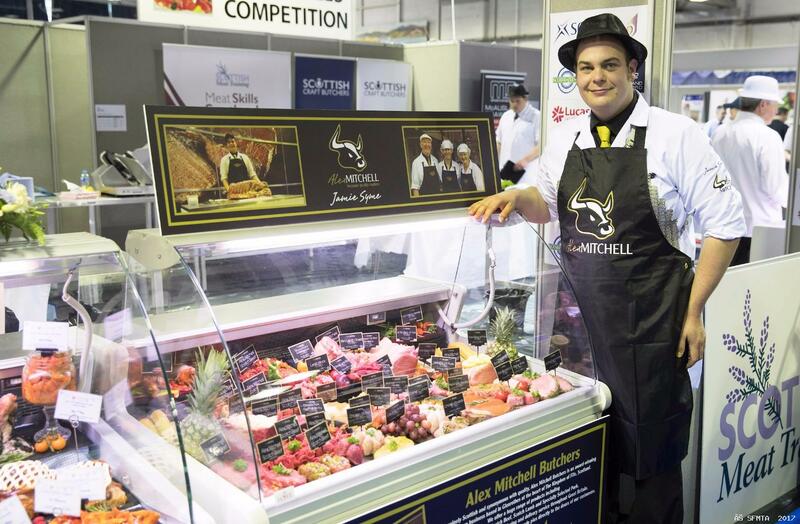 The 27-year-old from Alex Mitchell Butchers in Glenrothes faced disappointment in two previous finals before securing the 2017 title in the Scottish Meat Training Meat Skills Competition at Perth. And the newly crowned Scottish Champion immediately dedicated his hard-fought win to his baby daughter Grace. And he told how her sudden arrival called for a whole different skills set. “This was our first baby and my fiancée Chelsea and I didn’t really know what to expect,” he explained. “She was worn out as the baby was eight days late so went for a warm bath to ease the aches. The ambulance controller talked Jamie through what to do until paramedics arrived and his fiancée and daughter were transferred to hospital where they were both pronounced fit and healthy. Jamie managed to keep a cool head throughout the drama but admits he was shaking afterwards. And he reckons it was coping with his daughter’s unexpected arrival that helped him keep calm throughout the weekend competition. 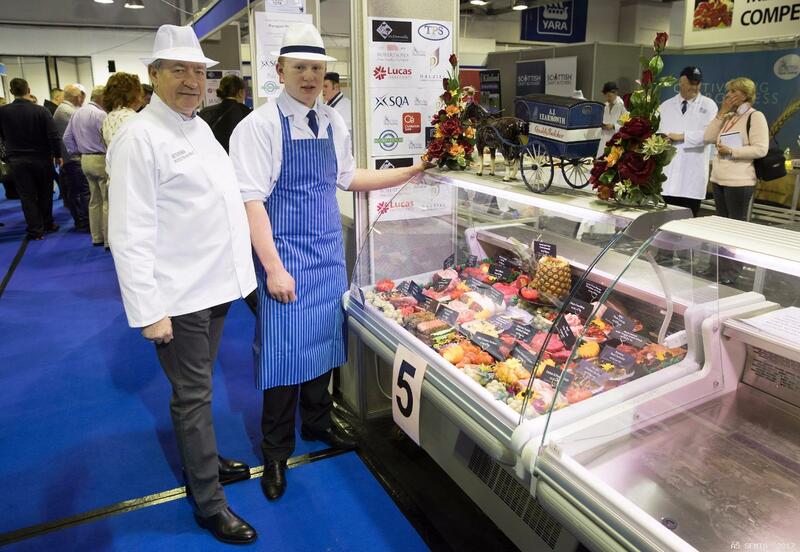 Butchers from across Scotland vied for the much sought after title with four finalists going head-to-head at the weekend in a series of demanding skills assessments. Jamie has worked in the meat industry since he was 13-years-old, starting as a weekend dishwasher at Alex Mitchell’s before taking up an apprenticeship there when he left school. “Being a butcher was all I’ve ever wanted to do,” he said. 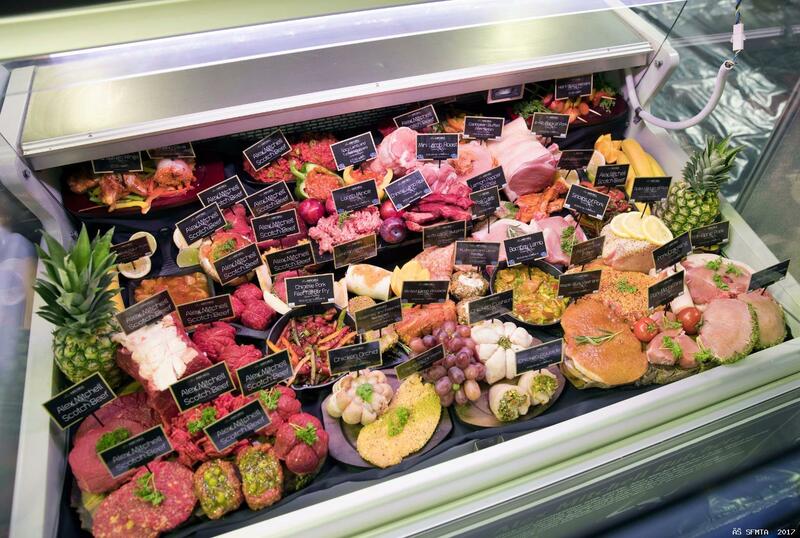 “I love the buzz of the shop, the chat with the customers, working with great meat and developing new products. 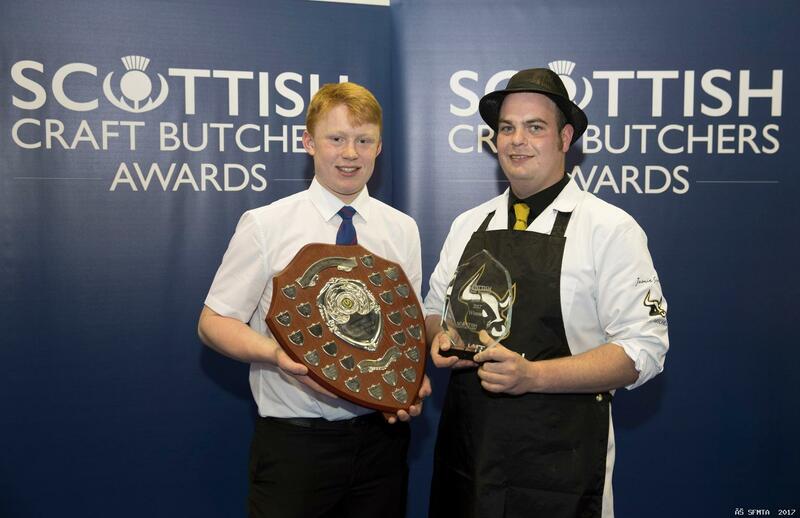 It was also smiles all round for Jedburgh teenager Ryan Briggs who lifted the Under-22 title of Scotland’s Young Butcher Of The Year. Ryan (18), the youngest in the meat skills competition, fought off three other finalists to win the judges’ favour. Ryan has worked with A J Learmonth Butchers in Jedburgh High Street since leaving school two years ago. Pictured above with Ryan, event head judge Keith Fisher – one of the most experienced meat skills judges in the world and CEO of the Institute of Meat – said the two winners displayed “outstanding” skills. “Every year the standard gets higher,” he said. 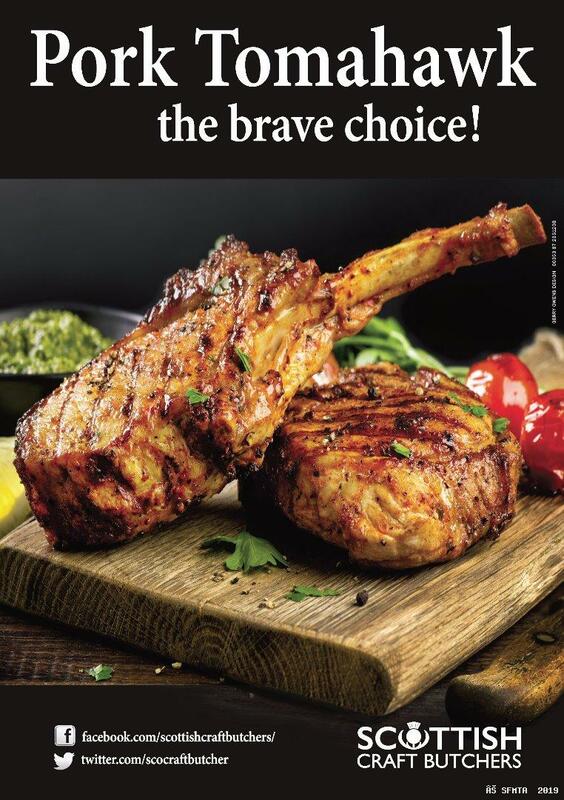 “I know the industry in Scotland is in safe hands when I witness the skills shown by these butchers. 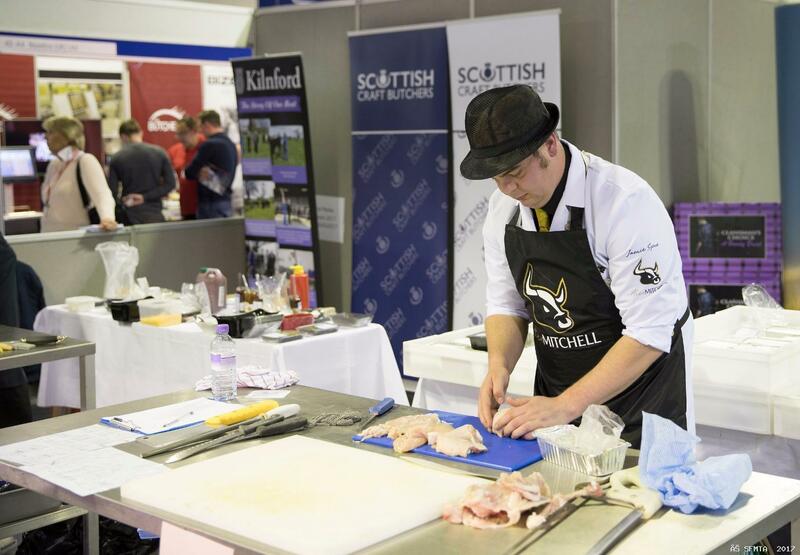 The Meat Skills Competition, sponsored by Dalziel Ltd, was held as a showcase event at the Scottish Meat Trade Fair at Dewars Centre, Perth, which attracted hundreds of butchers, associated traders and spectators from all across Scotland.